Well, you might have guessed, that I am a crust kind of gal. It’s my favorite part to eat of anything, really. 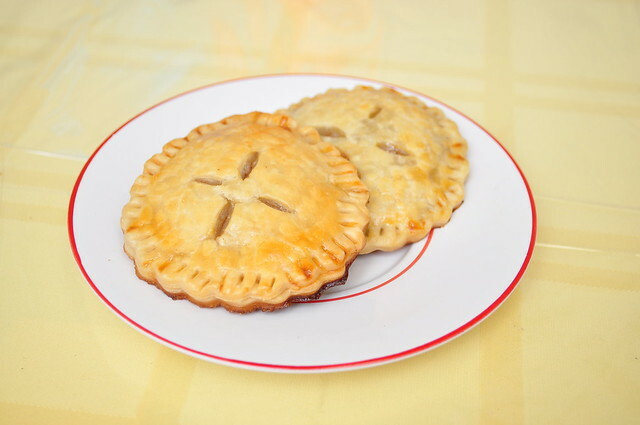 In each bite, I love to have a good filling to crust ratio. Apple pie is usually very heavy on the filling, which doesn’t really make me weak in the knees. The filling to crust ratio is just not in my favor. Once I saw this recipe, I knew I had to try it because… I mean… do you see all that crust! I took a shortcut with this and used pre-made crust. 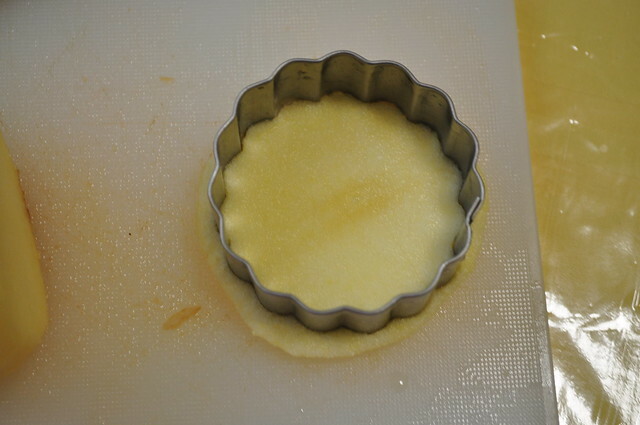 It makes the process shorter if you don’t want to spend the time making the dough for the crust. Make these cookies when you want to spend the afternoon at home, relaxing. The whole process of making these is actually relaxing. 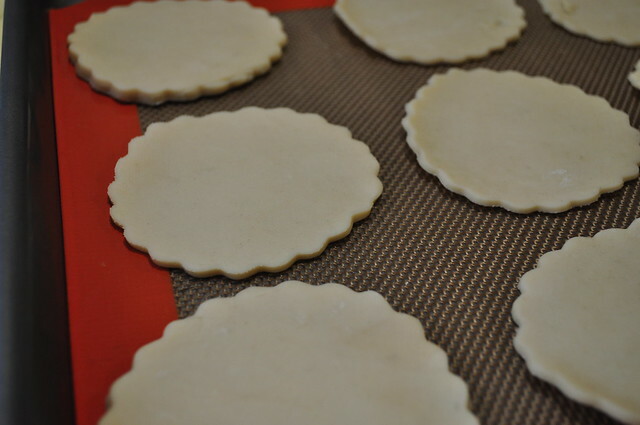 Cut out the pie dough into circles using a round cookie cutter. Put them in the freezer so they don’t soften while cutting the apples. Cut the apple slices, about 1/8 inch thin. Use a smaller round cookie cutter to cut the apples to the designated shape. We don’t want the apples to not fit in the crust! It is best not to work too slow here. If you aren’t going to be using lemon juice, your apples will brown. Mix all the spices together and put in a small bowl. Take out the little pie crusts out of the freezer. Assembly line: Crust on the bottom, sliced apple covered in the spice mix, then another crust on top. 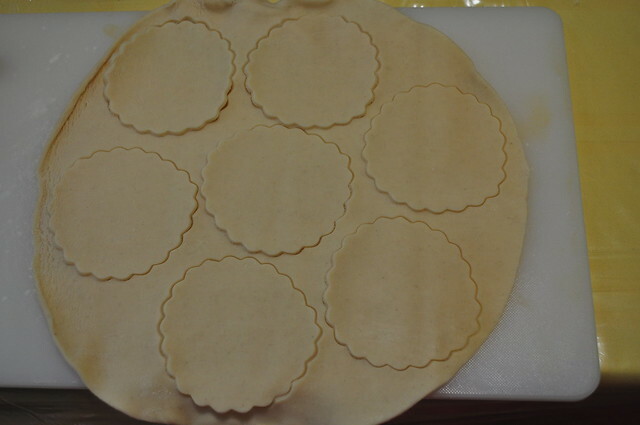 Make sure when you assemble your pies, to crimp the edges tightly with a fork, or else the pie filling will come out. 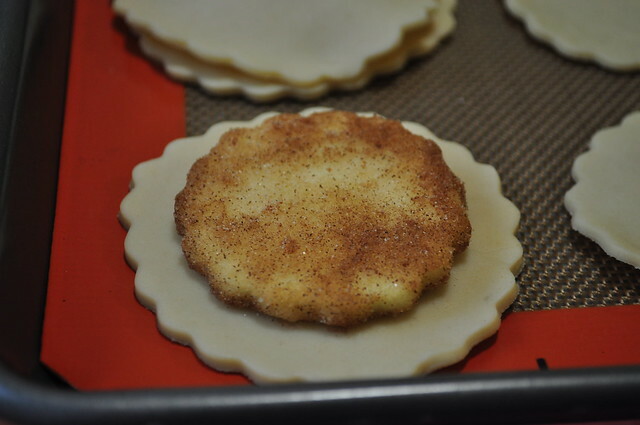 Also, make some marks on top of the cookie, so the pie can breathe while baking. Once everything is ready to go in the oven, bake for 25 minutes, until the pies are golden brown. You should enter our Cookie Contest! Please stop by our blog and enter!